Buying a car: it's a biggie. Chances are the only thing that you'll ever spend more money on is your house. And with so many routes to go down when it comes to paying for it, it can be a complex and confusing experience. 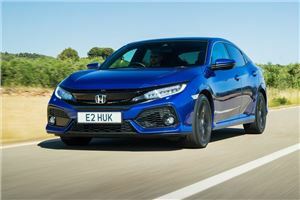 Our car finance guide below sets out your options and gives you the latest on what's available in the car finance market. Interest rates for savers are now at an historic low and chances are that if you're not moving accounts regularly (a pain in itself), you'll be seeing a minimal return on what you have in the bank or building society. So it's worth considering whether you could make your money work harder by putting your savings into a high interest account rather than spending them on a car? Are you buying new and if so, is there a 0 per cent finance on offer? Can you use a chunk of those savings for a deposit on a loan? A larger deposit often opens up cheaper interest rates – if you go down the hire purchase route - and therefore makes the loan cheaper. Can you pay for at least part of the car purchase on credit card? This will give you additional protection under Section 75 of the Consumer Credit Act 1974. But, make sure the card is paid off at the end of the month or you're on a 0 per cent finance deal, otherwise this will significantly increase the cost of your loan. Credit cards are ALWAYS an expensive way of borrowing money. 2Pay with finance from a specialist broker? In recent years specialist brokers have begin to offer finance purely for car purchases. The difference between this and a standard personal loan is that the finance is designed specifically for buying a car. There are a number of brokers who offer this service. Use the calculator below, in conjunction with Car Finance 247, to calculate monthly costs based on what you plan to borrow. This is one of the simpler methods of finance a car, with one catch: you will NEVER own the car. But, on the flipside servicing and maintenance is usually included in the monthly payments, so that's one less outlay to worry about. It means that you have fixed-cost monthly motoring, you don't need to worry about depreciation and you can change your car every year if you wish. However, those monthly costs can be higher than other forms of finance, a deposit is required and you will be charged if you exceed mileage limits. 4Buy on a PCP instead? A PCP is a spin on traditional hire purchase and started to become popular in the early 1990s. There are a couple of very big differences to HP. Firstly the monthly payments are much lower. That means you may suddenly be able to afford a car that you thought was out of your reach. However, instead of paying for the car outright you agree that you will pay the difference between the car's original price and its resale value at the end of your finance term. This is commonly known as a balloon payment. Pay the balance and keep the car. PCPs tend to have lower monthly payment, smaller deposits and more flexible repayment periods. There are a couple of downsides that mean it's not for you. Firstly, it can be a much more expensive than hire purchase, there can be restrictions on the mileage that you cover and, if you jump from PCP to PCP, you will never have an asset to show for your monthly payments. This is the kind of finance that you'll typically see being offered by dealers to get you into a new car and commonly referred to as HP. It's in the dealer's interest to help you get finance and it's another opportunity for them to earn commission. You make monthly payments over a fixed period (typically two, three or four years) like a secured loan, but you usually need to put down a deposit (anything from £1 to 50 per cent of the car's value). Hire Purchase is one of the easier ways of obtaining credit and lenders are generally happier to give loans to those without sparkling credit histories. The downsides are that they can be more expensive than a personal loan and the best deals are often on cars that are soon to be replaced. The market for new car finance is much more competitive than that for used cars, so finance from dealers for used cars can be more expensive than opting for a personal loan. 6Pay with a personal loan? Traditionally these have been offered by banks and building societies, but recent years has seen the market open up to other finance organisations (including the Post Office and supermarkets) and most recently online finance aggregators. One of the big advantages of going for a personal loan is that you can shop around – and that's the first thing you should do. Online comparison tools make it easy, but don't stop there, make sure you know what's on offer from your local bank and building society too. Many have special offers for account holders that come in below what the aggregators offer. Don't forget, you can use a mix of savings, a 0% credit card and personal loan to pay for a car, so don't feel that you have to take a loan to cover the full cost of the car. What you need to bear in mind is that there can be a delay between you applying for the loan, getting approved and actually receiving the money. This has improved vastly in the past few years and it is now substantially quicker than it once was – though it's never an instant process. You should also bear in mind that taking out a loan may make it more difficult to obtain credit for something else, should you need it. If you're looking at cheaper cars, it may be tempting to consider a payday loan – especially if it's an emergency. These should be treated with extreme caution. APRs are high and it can be expensive. 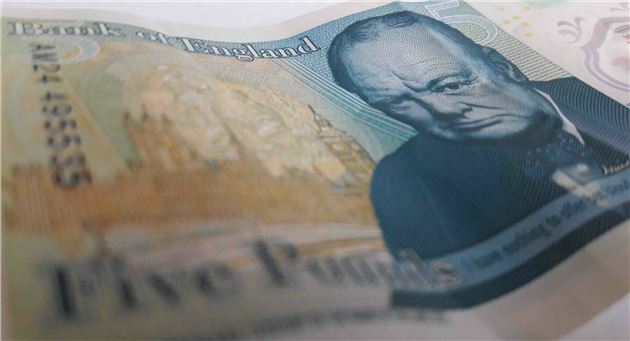 Borrowing £1000 will often mean that you will need to pay back £1300 after 28 days. There are two forms of personal loans: secured and unsecured. Unsecured are judged on your credit history, whereas secured loans have a form of collateral against them (usually your house) and therefore take longer to set up. Some loan providers have structures that means the more you borrow, the lower the APR. So if you're on the cusp of a boundary, it may be worth opting to borrow a little bit more to save. Below are tables of rates that you may be able to get, based on your credit history. They show how much a loan will cost you and the monthly repayments on that car loan. These tables are an illustration based on the most recent available data. Quotes are based on your individual circumstances and, as a result, may vary from the figures below. £1000 - £35,000 17.8% 2.9% Lowest rates are on loans from £7500 to £25,000. PCP deals aren't for everyone, but if you're after low monthly payments and want a new car, they can be cost effective. These are the best five finance deals on some of the UK's favourite cars. The CX-5 one of our favourite SUVs, helped by the fact it's really impressive to drive. It also comes with a decent amount of equipment and is a practical, comfortable and smartly styled choice. Okay, so this version doesn’t come with all-wheel drive – but then it’s far more affordable than many alternatives, with a monthly cost of less than £300. 1What is a PCP and is it right for me? 2How does a PCP work? If you do not wish to purchase the car for any reason and want to simply return it and walk away, you need to notify the supplying dealer that this is your chosen course of action. It is important to note that if you choose this option you should have abided by the terms and conditions set out initially, which in most cases are a limited total mileage, regular servicing and good condition of the vehicle within fair wear and tear guidelines. If you have some equity in the vehicle at the end of the term - where the balloon payment is less than the current value of the vehicle - this puts you in a strong position if you want to get a new car with a new agreement as this equity can be used as a deposit, cutting your future monthly payments. If you are trading the vehicle in the same conditions apply regarding mileage, servicing and condition. If the car doesn’t meet these criteria its value is reduced, so you will need to pay penalties in order to trade it in. Manufacturers often make introduce new finance deals to entice buyers into showrooms. Ford has 0% finance deals on a range of models from the Ka+ and Fiesta to the Kuga and S-MAX. You can get a £1000 deposit contribution towards a new CR-V 1.5 i-VTEC, getting you behind the wheel for £270 a month at an APR of 4.9%. Jaguar is offering a deposit contribution of close to £4000 on the XE and £3000 on the F-Pace. The new Ceed and Ceed Sportswagon are available on a 2.9% APR PCP with a £1500 deposit contribution. Land Rover buyers can get a £2000 deposit contribution toward a Discovery Sport or £3500 on a Discovery. The soon to be replaced Clio is available with 0% finance and no deposit required at £179 a month. There's £500 off SEAT models if you book a test drive and two free services if you buy on a PCP. The new Tarraco is £299 a month and includes a £2000 deposit contribution. 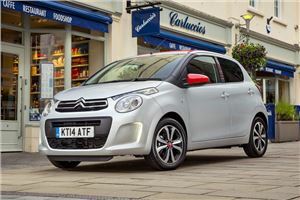 Citroen is offering a 'SimplyDrive' package that includes three years' insurance, road tax, servicing and breakdown cover. The same deal applies to the DS range, too. Peugeot's three-year 'Just Add Fuel' PCP deal combines insurance, road tax, servicing, breakdown cover and warranty costs into a single monthly payment. Alfa Romeo, Audi (only on A8), Citroen, Ford, Honda, MG, Mitsubishi, Nissan, Peugeot, Skoda, SsangYong, Subaru, Suzuki, Toyota, Vauxhall, Volkswagen and Volvo. If you’re looking to buy a new car then it’s highly likely that you're considering a finance package to fund it. PCP and HP deals are among the most popular forms of car finance, but there are some important things you should consider first. Is the headline monthly payment low? If so, check the initial payment (sometimes listed as the deposit). This is often inflated to bring down the amount you pay each month. Always check the contract mileage as this is a key element in relation to the residual value. Tempting deals, with low monthly fees, can contain hidden mileage clauses. Ensure you check the small print as excess mileage charges can end up costing you more than the monthly repayment costs of a PCP with a much higher mileage limit. If you look at the total amount payable on a PCP, including the option to purchase price, you might find that the total cost is significantly higher than taking a Hire Purchase agreement. As dealers and brokers earn commission on sales, this can be built into the price of the car or into the APR rate on your finance. Always crunch the numbers to see how much you pay in total. There is a difference between a service and full maintenance agreement; the former only covers for the intermittent service as and when required and may not cover for other wear and tear, such as replacement brake discs or tyres. This may not always be pointed out to you by the sales person, so always request full documentation. If handing back the car at the end of the PCP agreement, be sure to read the handbook the finance provider should give you to explain exactly what they will charge you for. You might find scuffed alloys and paint scratches are not accepted under the terms and a considerable repair bill could be coming your way. Should I pay by cash or go for a PCP? I'm looking to exchange my car for a newer model and the Mercedes-Benz dealer is pushing PCP. Should I pay cash? The dealer has quoted £300 ppm over four years. Do the sums. Work out the total on the PCP: deposit, monthly and GFV (guaranteed future value), then compare that to cash. The GFV will give you some idea of how much the car will be worth in four years time if you choose to pay cash. My leased MPV is being repaired under warranty but its replacement is too small - what can I do? I have a leased Citroen Picasso under warranty being financed by PSA Finance. It has been back three times to the dealer for various repairs, currently for over two weeks waiting parts. To be fair, the dealer has provided a small courtesy car. I am currently paying £287 a month for a car I can't use. As a matter of interest, is there any financial recourse to the dealer, Citroen or PSA? I look forward to hearing from you. What are you rights if you take out car finance and you have a problem with your car or finance provider? 1How can I send my complaint about car finance to Honest John? 2How are car finance companies regulated? Since April 2014, the FCA commenced regulating the consumer credit industry, which includes credit card issuers, payday lenders, loan and consumer finance businesses, finance credit brokers and many more types of consumer credit business. 3How do I reject a duff car or get compensation for problems with a car I have bought from a dealer? Your rights are against the supplier, which is the dealer and the finance company jointly if you bought it on finance. The new Consumer Rights Act enacted in October 2015 theoretically gives you the statutory right to reject a new or used car (or anything else) within 30 days of purchase if any fault is found. However, this has still be be verified in the courts. Additionally, a reputable new or used car dealer may have signed up to 'Alternative Dispute Resolution' (arbitration) under an Industry Code of Practice for Vehicle Sales run by the SMMT. This used to be called Motor Codes but has now been re-named The Motor Ombudsman. The Vehicle Sales Code covers transparent wording of adverts and pricing, clear and transparent invoicing, and the sale of a used car which is supported by a vehicle provenance check to ensure that it has not been stolen, written-off and is free of any outstanding finance payments. 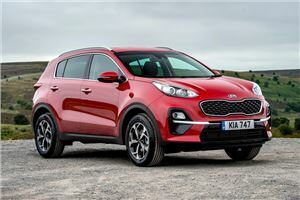 It also highlights that retailers should provide test drives, avoid high-pressure selling techniques, supply accurate advice on warranty and finance products, and deliver a vehicle with a full handover, complete with all historic documentation, the entire service history and a valid MOT certificate. So the first bit of advice is to try to settle the matter without getting legal. Once a dealer knows you know your legal rights he’s more likely to settle, as long as you are being reasonable. If the car is on finance you can take the matter up with the finance company. Even if you only paid part of the cost on finance (as little as £100 on a credit card for a £30,000 car), Section 75 of the 1974 Consumer Credit Act gives you rights against the finance company. Write to both the dealer principal and to the finance company and send your letter by Post Office Special Delivery so you get receipts for them and your letters become 'matters of record' which can't be denied. Involve The Motor Ombudsman the SMMT's arbitration service. Remember, "County Court is a last resort." If the dealer and finance company refuse to accept your rejection of the car, you can't continue to use it while taking County Court action against them and that could mean your car sitting on your driveway unused for months on end while you have to get buses and taxis everywhere. Finally, except under the new Consumer Rights Act 2015, you can’t successfully reject a car for a trivial reason such as a little scratch or finding out you don’t like something about the car, unless, for example, you bought it for a specific purpose, for example to tow a caravan and then you find out it can’t.